You are here: Home » Cards » Credit Card » How to Improve Your Chance of Getting Higher Credit Limit? Many credit card users want to get higher credit card limit. It allows them to purchase otherwise unaffordable items. First of all, consumers need to understand that getting a higher credit card limit, mean that they need to abide by the agreement issued by the credit card company. The most important step in getting higher limit is by proving that you are creditworthy. This is often the first thing that companies and banks see when reviewing an application for higher credit limit. Spend near the card limit. Doing so conveys to your lender that you need higher limit and are capable of managing your expenses. Use your credit card frequently. Don’t use your card only for emergency. If the card is used just occasionally, credit card companies and banks will be unable to determine your payment and spending behavior. By using the card minimally, most credit card companies and banks will be disinclined to give higher credit limit. Pay more than minimum payments. If possible, pay for the whole outstanding amount. It will usually improve your chance of getting approved for higher limit. Get positive attention from your bank or card company by occasionally paying interest finance charges. Without doubt, this isn’t advisable on a regular basis and only useful as the last resort in improving your chances of getting approved for a higher credit limit. Showing to banks and credit card companies that you’re reliable borrower can be a good way to increase your credit limit. But be particularly careful because this tactic also means that you may pay finance charges that can pile up in a hurry. Pay on time. By paying late, not only will the amount of your payment increase, additionally you may need to pay an extra fee. 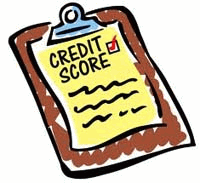 It can lower your credit score and make it harder for you to get higher credit limit. The simplest and best strategy for gaining a higher limit is by using your credit card smartly. Always remember that lenders keep a detailed record on your buying habits, so always pay the credit card bill in a timely manner. Obviously your performance records at your card company and bank will decide whether you should be approved or not. And never forget, a higher limit equals to greater purchasing power, and it also improves the risk of you being forced to pay bigger interest charges and other late and processing fees if you have trouble repaying the higher balances. Previous post: Four Things You Should Know When Using Credit Cards Abroad Next post: How to Save Money on Supermarkets?